The Seattle-based nonprofit may be best known as the umbrella group overseeing Startup Weekend events, 54-hour sprints held in cities around the world in which people share and vet ideas, form teams, and throw together the outlines of a new business. UP Global also produces online Startup Digest newsletters, Startup Week celebrations, and other education and networking events for aspiring entrepreneurs and the startup-curious. There’s a lot to recommend the combination of the Seattle-based nonprofit with a for-profit venture. They have complementary goals of facilitating entrepreneurship and building startup companies. They have a common history. UP Global already shares space with Techstars Seattle in Startup Hall. 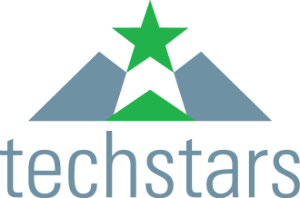 Techstars’ Brad Feld is an UP Global board member. But the business case is a bit tougher to suss out. Terms of the deal are not being disclosed. “Nobody made any money on this—myself or anybody on the team or board,” said UP Global CEO Marc Nager. After having a third-party determine UP Global’s valuation—itself a difficult exercise for a nonprofit—the consideration paid by Techstars “will remain in an ongoing nonprofit entity [that] will be able to donate it to causes that are aligned with the mission of supporting entrepreneurship, but strictly to charitable, nonprofit type activities… not to benefit Techstars or anything else,” Nager said. 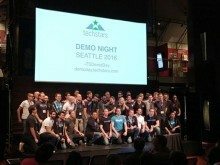 Techstars will not get any proprietary deal flow into its accelerators. It doesn’t plan to make any major changes to Startup Weekend or other programs organized by UP Global, which will henceforth be known as Techstars Community Programs. It’s actually dropping fees for some programs. UP Global’s employees will join Techstars, but for the most part continue with their work status quo. Leaders of the two organizations make this sound like a somewhat altruistic move—one that preserves and expands the services UP Global provides to entrepreneurs and innovation communities around the world, for the indirect benefit of Techstars and everyone else engaged in the startup industry. While a buyout deal represents an unusual “exit” for a nonprofit, they said UP Global wasn’t in jeopardy of closing its doors in absence of an acquisition. Still, the organization was facing challenges as the startup industry matured. It laid off about a third of its 60-person staff earlier this year after failing to renew some sponsorships. Nager and the UP Global team knew they were creating real value in the form of welcoming more people into entrepreneurship, and supporting the creation of new companies—the source of an outsized share of new jobs in the U.S.
“It’s just nonprofit 101: Every nonprofit having a real impact has that same challenge of, ‘Hey, we create value, how do we capture that and use that to invest in furthering our mission? '” he said. Meanwhile, UP Global, and its sponsors and partners—including Coca-Cola, Chase, Sprint, and Intuit—were looking to move down the startup pipeline. “We’ve had a number of partners over the years say, ‘Hey, the early stage stuff is great. 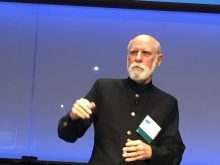 We get a lot of reach and awareness out of it, but now we need to double down and be able to support established teams that are more predictable and can help them accomplish their goals a little bit more tangibly,'” Nager said. As UP Global sought to expand toward more mature startups, filling out its vision of helping aspiring entrepreneurs through every stage of the company-building journey, Techstars—with its well-established, highly selective accelerators and investment funds—was looking to expand in the opposite direction. I asked Brown why Techstars, a globally recognized and elite destination for the best startups, would need to worry about the wide-end of the entrepreneurship funnel—the on-ramps to entrepreneurship, to borrow from Techstars Seattle managing director Chris DeVore’s 2012 post “On-Ramps + Rocket Launchers: Why successful startup ecosystems are T-shaped“.